Monitoring the conservation status of sea turtle nesting beaches in the Mediterranean is one of MEDASSET’s key activities since 1988. We present our findings and recommendations to national and international authorities, such as the European Commission and the Bern Convention, to bring international attention to local conservation problems and encourage governments to take action. Read about the Bern Convention Case File system here. 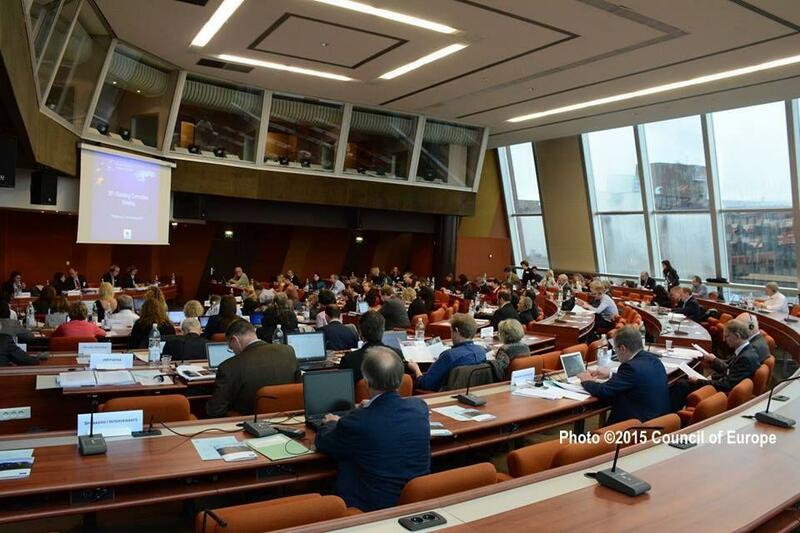 For the 27th year in succession, MEDASSET participated in the annual meeting of the Bern Convention at the Council of Europe (35th Standing Committee Meeting, Strasbourg, France, 1-4 December 2015). We presented our sea turtle nesting beach assessments, raised our concerns and submitted recommendations. As a result, the Bern Convention adopted important decisions to monitor several sea turtle habitats and urge countries to step up protection. Find out more about these campaigns here or download our 2015 report. Our campaigns to improve the protection of Patara (launched in 1988) and to halt severe degradation of the nesting beaches in Fethiye (launched in 2009), both protected under the Barcelona Convention, continued in 2015. We assessed the sites in early July and late August, and also participated in the Bern Convention’s on-the spot appraisal in late July, organising local stakeholder meetings in both sites. In Fethiye, there was no improvement in the protection and management of the site. The few measures taken a few days before the Bern Convention’s visit, were reversed shortly after our departure. Once again, we documented unregulated beach furniture and fixed structures inside the nesting zone, littering, light pollution, uncontrolled visitor and vehicle access, and several other threats to sea turtles, hatchlings and nests. A new huge resort launched operation on one of the last remaining pristine beach sections of Fethiye. Habitat destruction and unregulated coastal development continues, further reducing the available nesting habitat and increasing disturbances to sea turtles attempting to nest. In Patara, we recorded several conservation problems such as the complete lack of guarding, beach furniture obstructing nesting at night, littering and lack of information signs. Patara’s dunes are among the largest and most spectacular in Turkey; however, the deserted facilities of an illegal beach bar have not yet been removed from the dune. Behind the beach and inside Patara’s protected archaeological area, which is on UNESCO’s tentative list, a construction project of 300+ holiday homes continues: 27 villas were completed and inhabited this summer, and foundations for more villas were laid. Through our campaign we are urging authorities to adequately protect the habitat against pressures and disturbances that will increase many fold due to the much higher number of residents and visitors. The Bern Convention, alarmed by the findings of the on-the-spot assessment in July 2015 which confirmed our reports, adopted two Recommendations, asking Turkey to take urgent action to improve management and conservation of sea turtle habitats in Fethiye and Patara. Read our Press Release in English and Turkish about this very important milestone in our campaign to save Patara and Fethiye. Fethiye, Turkey: Light pollution, which kills hatchlings, is one of many impacts of uncontrolled development and lack of regulations enforcement. 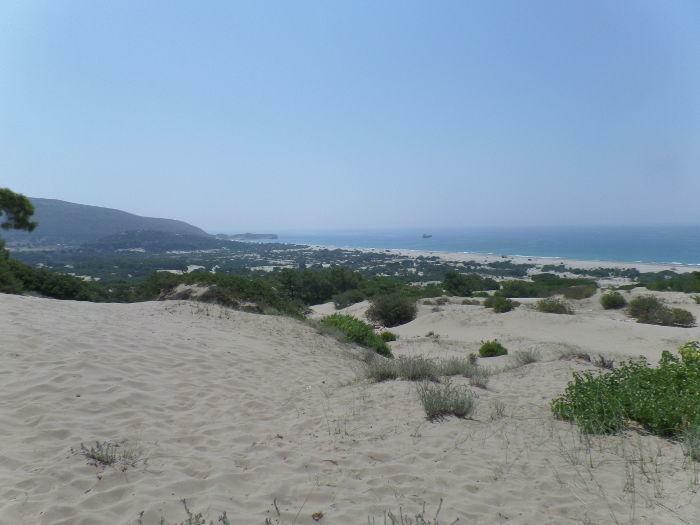 Patara, Turkey: Unique dunes and sea turtle nesting beach threatened by lack of management and new developments. Find out more about this campaign here or download our 2015 report. At the 2015 Bern Convention meeting, we stressed that severe coastal erosion is reducing the available habitat in Kazanli’s important green turtle nesting beach: just over the last 6-8 years we estimate that up to 19 meters of coast has been lost due to erosion. In addition, the 1.5 million tonnes of toxic waste deposited next to the beach by a soda-chromium factory, remains a pollution hazard for the habitat, sea turtles, human health and the Mediterranean Sea. The Turkish Delegate briefly informed about implementation of several measures that were prescribed by the Convention in 2002, explained that relocation of buildings and greenhouses away from the beach is pending legal processes and that there are plans for an erosion monitoring and control project. At last, good news was announced in relation to the toxic waste: transfer of neutralised waste to a special landfill has started and will be completed in 8 years. We welcomed the news but noted the considerable delay in comparison to previous commitments and urged for swifter action, as 13 years have already passed since the government was asked to solve conservation problems in Kazanli – Turkey’s top green turtle nesting site together with Akyatan and Samandag. The Bern Convention, recognised that though progress is slower than foreseen, there is some improvement, and decided to discuss the issue at the 2017 Standing Committee meeting, asking Turkey to implement pending measures and report back on progress made. 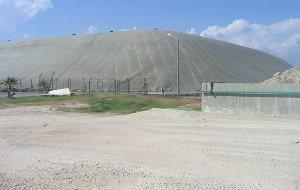 Kazanli, Turkey: Mountain of toxic waste next to green turtle nesting beach to be gradually removed within 8 years. 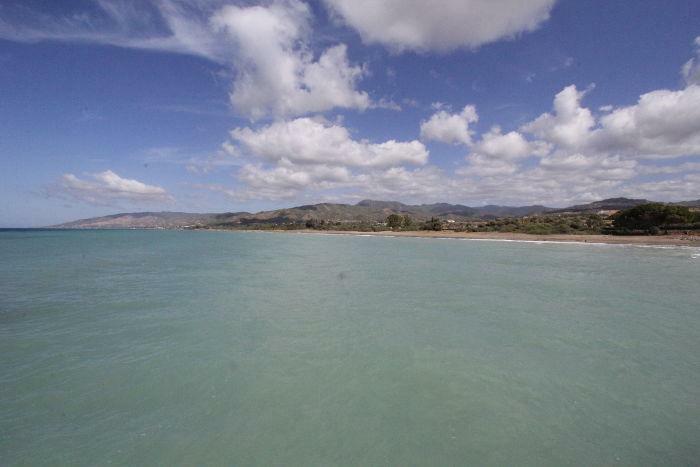 Nesting beaches in South Kyparissia Bay host the second largest number of loggerhead nests in the Mediterranean. Although the site is a European NATURA 2000 protected area since 2002, the Greek government has failed to introduce and enforce the necessary conservation and management measures. As a result, the European Commission referred Greece to the European Court of Justice in March 2014 and the Bern Convention issued a 12-measure Recommendation in 2014 which includes a permanent construction ban in the core nesting area. The Greek Government has yet to take protective measures, and MEDASSET with other environmental NGOs are demanding from the Government to urgently issue a Presidential Decree that will ensure appropriate protective status. At the 2015 Bern Convention Standing Committee meeting, MEDASSET in collaboration with Greek NGO ARCHELON presented the continued site degradation and inadequate management of the site during summer 2015. Threats included sand dune destruction, illegal constructions on the beach, fishing, vehicle access on the nesting beach, poor beach furniture management and light pollution. The Bern Convention took note of our concerns over the lack of progress during 2015, agreed that a Presidential Decree to grant appropriate protective status to the area is the most urgent measure needed, decided to keep the case-file open, and called on the Greek Government for urgent and full implementation of Recommendation No. 174 (2014). 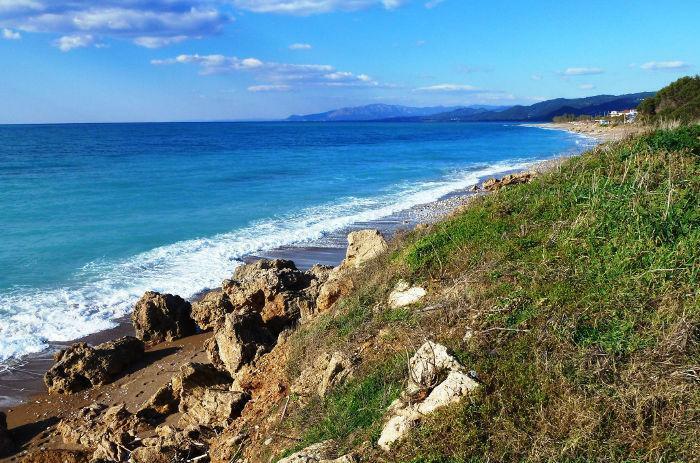 Kyparissia, Greece: Top Mediterranean C.caretta nesting beach in danger of destruction, if protective law is not issued before May 2016. For more details see Terra Cypria’s 2015 report. Conservation problems in nesting sites in Akamas and adjoining Limni were brought to the attention of the Bern Convention in 1996 by MEDASSET on behalf of NGO Terra Cypria and a case file remains open since 1997. Protection of these habitats is to be ensured via their designation as European Natura 2000 sites and the implementation of appropriate management plans. The NGO report clearly illustrates that these most important sea turtle habitats are threatened more than ever: lack of management is increasing human disturbances and improper site designation will allow irreversible habitat damage, to the benefit of unsustainable development and in disregard of scientific advice. TerraCypria explained that the proposed Natura 2000 site boundaries in Limni do not adequately protect the sea turtle habitats, and that authorities plan to approve the development of a huge golf course and villa complex directly behind Limni’s beach, despite the expert opinion and NGO requests for a 475-500 m protective buffer zone between new buildings and the nesting beach. We jointly called on the Bern Convention to continue monitoring this issue by keeping the file open and to encourage Cypriot authorities to adequately protect and manage Akamas and Limni with no further delay. The Bern Convention decided to keep the case-file open, in light of the ongoing infringement procedure at the European Commission level. Find out more about this campaign here. In 2010 we submitted a complaint about high levels of loggerhead and green turtle mortality in Episkopi Bay due to fisheries interaction. The Bern Convention Standing Committee dismissed the complaint in 2012, due to commitments made by the UK authorities to take action to tackle the problem. In 2013 the Convention decided to contact the UK authorities to propose the organisation of a mediation procedure. At the 2015 Standing Committee meeting, we urged the Committee to ask the UK authorities for a detailed update report on progress made since January 2012. We also repeated our request to the Committee to address the issue the mediation process. The Bern Convention Standing Committee took note of our concerns but decided to encourage the UK, the Republic of Cyprus and the NGOs to have an independent joint meeting to address the issue. Troubled times for the Med’s ancient survivors.